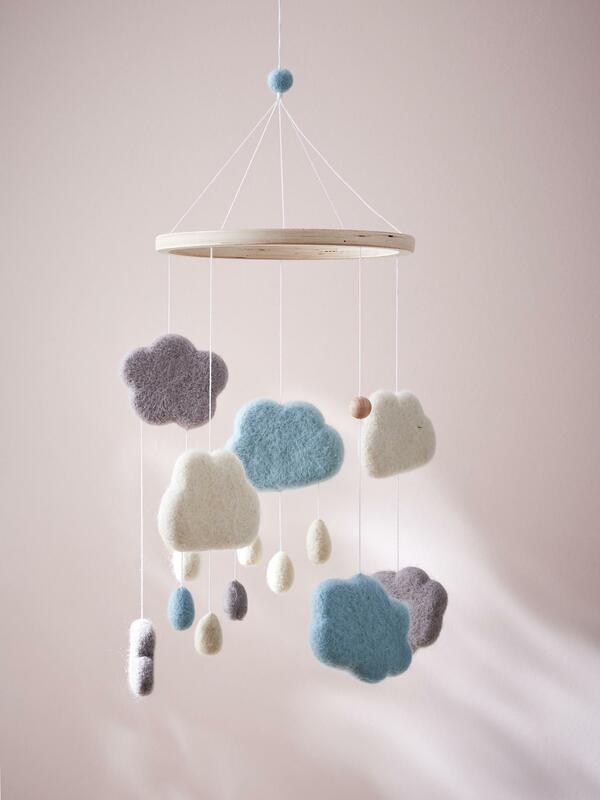 Wool, clouds, and drops for baby's early learning. A soft decoration and orginal gift idea! Diameter, 25cm approx. Overall height, 45cm approx.